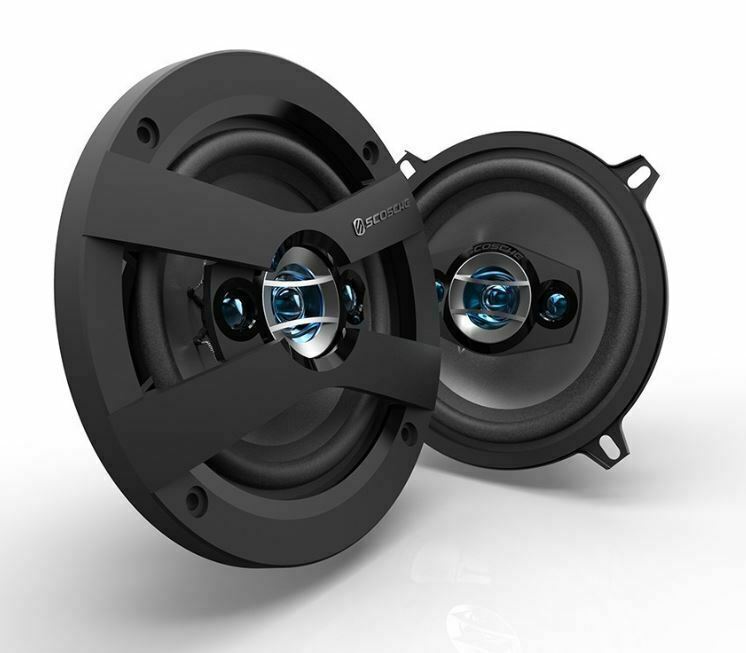 The HD Speakers by Scosche have been designed to maximize the listening experience of your car audio entertainment system. MP3's and satellite/HD radios provide the benefit of a clean signal which is lost with most factory speakers. HD audio takes digital sound to the next level. IMPP injection molded polypropylene cone for enhanced durability and precise musical reproduction. Reacts instantly to transitions in music and minimizes acoustical output distortion. 3 way design provides powerful bass, smooth mids and brilliant highs. This design features a 5.25" woofer, 1.2" midrange and 0.6" tweeter. Protective grills are included for increased shielding. 200 watts max (40 watts RMS) for an increased performance. Rubber surround provides enhanced durability. An oversized 10 oz strontium magnet and 1" copper-wound voicecoil allow for superior power handling. Enjoy your audio the way it should be...in HD.